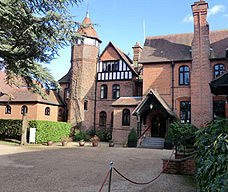 Careys Manor Hotel is an ideal venue for team building and meetings. Careys Manor Hotel is one of Hampshire's most sought after conference and meeting venues. The hotel is set in the heart of the New Forest in Brockenhurst and offers 79 luxurious bedrooms and suites giving you the finest combination of both modern and original features. Carey's Manor offers a delightfully relaxing atmosphere combined with a flawless service, exquisite menu's and the award winning Sen Spa. During your stay upgrade to enjoy the luxury of our award winning Thai Spa, including a large Hydrotherapy Pool, Herbal Sauna, Crystal Steam Room, Ice Room and Experience Showers. indulge in a range of treatments including a variety of massage such as traditional Thai and Swedish massage, Ayurvedic head massage, Oriental foot massage and Thai herbal poultice, plus we offer a range of facials, body wraps, body scrubs and unique pure spa treatments. Many of SenSpa's therapists are from Thailand and bring with them experience and knowledge to help create an authentic Thai Spa. 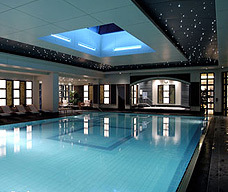 All our rates include use of the Health Club facilities (swimming pool, sauna, Jacuzzi, steam room and gymnasium). 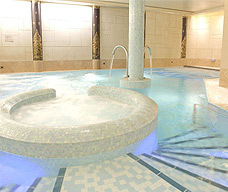 Additional charges will apply for using the SenSpa Hydrotherapy facilities and treatments. With three restaurants, there is plenty to choose from - whether you prefer fine dining in our two AA Rosette Manor Restaurant, a relaxed atmosphere in Blaireaus French Bistro or want to enjoy authentic Thai cuisine in the Zen Garden Restaurant.Our restaurants use only the finest ingredients sourced inline with our ethical food policy of using local, free-range and organic produce as far as possible. For team events the marina is just 15 - 20 minutes away in the Victorian town of Lymington giving you options for sailing, power boat events and RIB Treasure Hunts. For those wanting to stay on dry land we have treasure hunts, multi activity days, country days and indoor team building events.